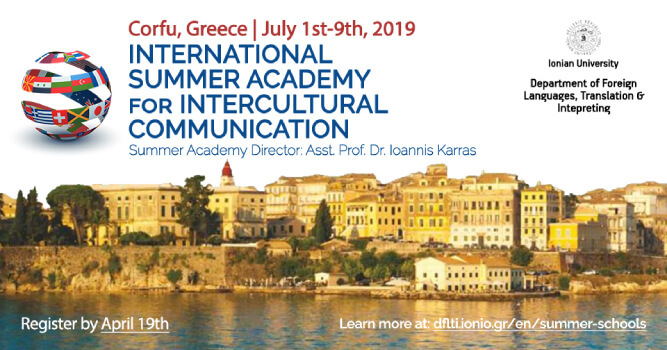 The Department of Foreign Languages, Translation and Interpreting (DFLTI) is hosting for the second consecutive year the “International Summer Academy for Intercultural Communication” (ISAIC). The Summer Academy will run between the 1st and the 9th of July, 2019. The Director of the “International Summer Academy for Intercultural Communication” is Asst. Prof. Dr Ioannis Karras.